By their own admission, ‘Assessment’ was not quite the right word for this day at all. Having whittled applications down quite significantly, which must have been insanely tough if the caliber of fellow attendees was a marker of the quality of applications, 30+ runners assembled at the Parliament Hill Lido for a day about which we knew very little. It transpires there was quite a mix of runners in attendance, from those who have completed trail half marathons, to those who have completed far longer races including the Thames Path 100 just last weekend. Our hosts for the day were the delightful Julia and Simon Freeman who run Freestak, an upstart social-media company for running brands, and editor of simonfreeman.co.uk where Simon discusses all things running, particularly from the sharp-end of the sport, and is highly recommended for a read when you have a few spare moments. This trail team is kind of their baby, and having approached Torq, whose expertise was borne in the world of Mountain Biking, by all accounts they jumped at the chance. As the day progressed it became clear that Simon and Julia are continuing to approach further sponsors for the team, which may have some bearing on quite how many feature in it, as this remains a little vague. I turned up a little early, but not as early as others it would seem, and I finally got a chance to meet Tim (known to many as Jedirider on twitter,) who strangely does not look like a lego Darth Vader. I have followed Tim on twitter for quite some time now, and he writes a great blog here about his training for a second stab at the North Face 100 in the Blue Mountains this year. I can’t believe it’s taken so long to meet him, but things have gotten in the way of our meeting for runs in the past (moving house I think was the issue last time) but hopefully we’ll be able to catch up on the trails soon. Suitably hydrated with coffee and filling up on samples of Torq bars we settled in for the first talk of the day. Martin, a former Ironman triathlete, swimmer and cyclist, works for Torq and set about a bit of pitch about why Torq is so good. Being a user of their delicious bars and gels already I knew much of what he was saying anyway. The best part of this talk was the interesting dialogue that was created in discussion with some very established ultra runners. In theory, an ultra run can be fueled by nothing but the Torq system – but a 24 hour time would mean 72 bars or gels in total. I am not sure how anyone would carry this, or whether a stomach could cope. A really exciting prospect of this trail running team is the collaboration with Torq that will undoubtedly ensue as they seek to learn more about this sport which differs so much from their comfort zone in intense triathlon competition. There was also a hotly debated discussion about the mental/physical benefits of eating cake, lots of cake, oh and the occasional bacon & egg sandwich. It was enlightening. After a quick break the second of our speakers was Stuart Mills. I was particularly looking forward to this talk since learning that he would be attending, and I wasn’t disappointed. UltraStu is a fantastic blog, and if you spend some time there you will discover that he produces some pretty ultra posts. This should have made it clear that he would also be able to produce a pretty ultra presentation, and he used up all his allotted time, and then some. Stuart moved on from the talk about nutrition and performance to talk to us about the importance of mental preparation. Stuart discussed the Rate of Perceived Exertion and its importance in, and affect on, performance and fatigue. An interesting point to take away was his notion of fatigue, and that even during a 100 mile run, if fueled correctly your muscles won’t actually be fatigued. This fatigue actually is formed in the mind and it is the brain that causes this slowing effect. Fundamentally, it is all about embracing the positive and not the negative. A simple change of words such as from ‘Hurt’ to ‘Challenging’ can make a fundamental change to your run. Rather than your legs hurting at mile 20 of a marathon, why not be excited by the challenge your body is facing up to and embrace it. A subtle change, but likely to be a powerful one. Stuart also questioned why we get to 20 miles in a marathon, and immediately think – ‘only 10km to go’. We are runners, it’s what we do, and we do it because we really enjoy it. Why the hell are we counting down? Why are we desperate for it to end? A run shouldn’t leave us feeling like that surely. Another simple change can make a big difference. Rather than counting the miles down, think about the positives about how far you’ve come, how consistent your pace is, how much you are enjoying the challenge. In any race he zooms off the front at 6 min/miling (even in a 24 hour Lakeland 100 win), and uses this excitement of winning, the enthusiasm of checkpoint volunteers, friends and family, to cheer him along and continue this buzz going as long as possible. Truly inspirational, and very thought-provoking. Go spend some time on his blog to discover more about Stuart and his research. After a quick cheese bun we enjoyed the final talk of the day from Gavin Burt an osteopath, and creator of the running injury oracle. This interactive website does a great job of diagnosing running injuries and provides advice and guidance for rehabilitation. It’s a very good website, and although it diagnosed me with DVT last weekend, as I discussed with Gavin, it was important that it did so as the doctor was concerned when I turned up, and whilst it turned out to have been a deep-rooted muscle injury, had I massaged a clot it could have had life-affecting consequences. DVT is not unheard of in runners, in fact Gavin told me about a fast and fit 20 year old lad that he treated who had suffered from it. Gavin’s talk was fairly short and sweet, but made a few very important points of interest. Firstly he impressed upon us the importance of strength work that should include arms, shoulders, back and core muscles in order to improve running efficiency. I think this is fairly common knowledge, but advice that is actually quite rarely followed. The second point is one of inequality. Whenever we do work out at the gym or at home doing squats, calf raises, hamstring exercises etc. we generally complete the moves with both legs (both calves on the step at the same time for example). Nearly everyone has an imbalance, one calf is stronger than the other, the quad of the left is weaker than the right for example. But even when we stop exercising both muscles together and go for single leg calf raises or squats, we still end up doing say 10 on each leg. What we should be doing is assessing which muscle is the weakest. If my right calf is weaker than my left, then they shouldn’t both be subjected to 10 calf raises as this will continue to see them grow at exactly the same rate, and will maintain this imbalance. Instead, if I did 10 on the left and 20 on the right I would start to redress this balance and given time the difference would become negligible. Every month or so, reassess which muscle is weaker and adjust accordingly. It’s such a simple idea, but one that I had never considered before. I will definitely be putting this in to practice. Rounding off the days festivities the whole group went for a run on Hampstead Heath. This was a brilliant opportunity to jog along at a nice chatty pace whilst talking running, food, shoes, socks, races and life in general with other like-minded runners. It was a good chance to chat with Simon about the process, and at one point it offered a stunning out-look across London which looked simply stunning in the distance. It was a very pleasant 4 and a bit miles, not that anyone was really counting, and when we got back to the lido it was a quick thank you from Julie and Simon, and shake of some hands for the new people I’d met, and then a quick dash back to the station to catch my train. 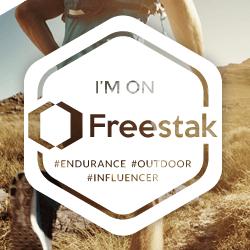 I look forward to hearing from the guys at Torq and Freestak. I shan’t hold my breath as I got the distinct feeling frmo the Torq guy that they really seem to want podium toppers – and I ain’t one of them! But I truly appreciated being invited to the session on Saturday, I loved meeting everyone, I drew so much inspiration from the guys talking, and generally had a very good running-related day. Well, the run with the team took me past 500 miles for the first three months of 2013. I am over the moon with that!! Today I added another 16 which included the final 4 at a faster pace than the first twelve. This was largely kicked off by running down a big hill. But I was feeling good, legs felt comfortable, so I just kinda went with it. My marathontalk Marchvellous score took a bit of a hit as I haven’t managed 5 runs in this injury-hit week, and rather than 24 proposed miles I totaled 16 for the long run. But it’s not all about the 100%, it’s about consistency, and that was the only way I would hit 519.96 (dammit, I kinda want to go for a run now to top that up) in the first 90 days of 2013 – In 2011 I ran 547 miles in the entire year!!! Thanks for the comment. It was a good day (though I am sure you probably didn’t want to hear that) but still a little in the dark as to what is going to get anyone actually into the team! I don’t know, there was a real mix there. My background is definitely in road running, but my targets for this year are a lot of trail races. As I voiced my concern in the post, they might want race winners – which I definitely am not, so I hope that I didn’t inadvertently suggest that might be the case in my application! Hey, nice piece there. You heard anything from Torq? I’m down this weekend and was interested in your “looking for podium toppers” will rule me right out. I’m a mid packer so big step up to get anywhere near top quarter!!! Hey good effort n the 500 miles too, brilliant! Thanks very much. Don’t expect to hear anything until after the Church Stretton day. I wouldn’t worry too much about the front-runners thing. Enjoy the day and wait and see, I’m not sure they even know quite what they are looking for. Best of luck Chris! It sounds like a really great idea and it’ll be really interesting to see how it all pans out.